I just finished my second birthday party pack for my Etsy shop. I’ve been working on developing my Zippity Zoom airplane designs for quite a few months off and on. I finally put the last touches together last night and voila, I thought I had something fun and new to show and tell… and sell. Or rather it finally hit me that my little single-wing only had one seat! Now how can you have a party with no room for friends? So today I spent time stretching out my plane to accommodate a few pals. 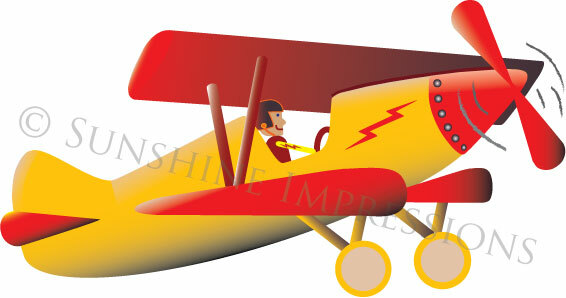 And I have now traded out the old plane for the new and have finally uploaded them all to my Etsy shop and they are ready to be viewed and purchased for a fun, zippity zoom birthday party! I would love your comments below on what you think. And of course let me know if you have ideas for my next compilation of fun.